The tiny State of Israel lives under constant threat of terrorism and war. 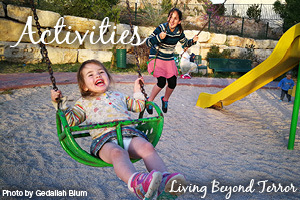 Ironically, while the people of Israel have every reason to be full of fear, the citizens of Israel are constantly ranked among the happiest nations on earth. Since 9/11, the world is slowly learning that terrorism is not a problem “over there,” it is a reality that can strike anywhere, at any time. Trauma can be a result of being exposed to terrorism and war as a civil or a soldier, working as a first responder (police, firefighters, paramedics) but can also occur in much more common circumstances such as car accidents, being a victim of violent crime or sexual assault. 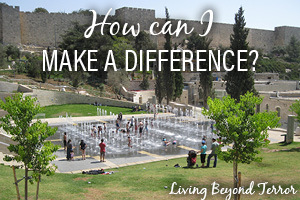 Living Beyond Terror is an initiative that focuses on methods applied in Israel to, not only LIVE but also thrive, despite traumatic events that have occurred. 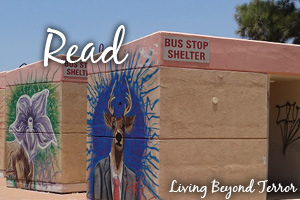 In this section, we hope to inspire you with real-life examples of different ways to live beyond terror and empower you with the knowledge that if others have succeeded, you can too.